"Big Rube" Harley at Butter's Soul Food in Brewerytown. Local style blogger "Big Rube" Harley, known for his street style site Street Gazing, has a new gig - well, at least for a night! 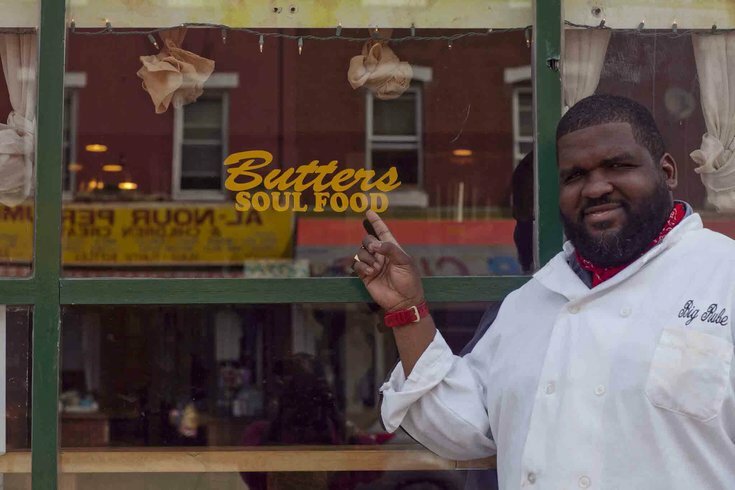 Big Rube will be the guest chef at Brewerytown staple Butter's Soul Food Wednesday, June 3. Part of a doubleheader Brewerytown Soul event, diners can snag a soul food feast, plus hard cider, for $25 from 7 to 9 p.m. "Big Rube" will be cooking up fried chicken, beef short ribs, string beans, tuna and mac salad. Butter's owner and chef Kevin Bell will add fried buttermilk catfish, candied yams and collard greens to the mix. Classic neighborhood bar Sarah's Place (1216 N. 29th St.) will host the after-party with DJ Steve Ferrell spinning old-school soul and funk tunes.